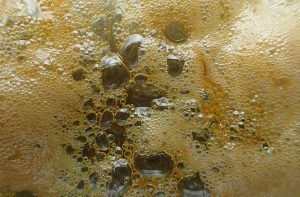 Marijuana Processing & Cannabis Oil Extraction - Ino-Tek Inc.
As the legalization of marijuana accelerates across the United States, the uses of marijuana will expand as well. New marketing to create value for marijuana products and new approaches to processing and extraction will be the norm. In 2012, Colorado and Washington approved the legalization of marijuana for recreational use. Immediately, growers began experimenting with how to create more value for their crop. Building code officials were left behind as experimentation brought new hazards into the processing and extraction environments without sufficient controls to assure safety for employees, first responders and the community at large. As additional states have pushed forward with marijuana legalization, they have looked at the challenges faced by Colorado and Washington to catch up and have enacted tighter controls over repurposed facilities and process changes. Occupancy permits are typically based on both the configuration of a space and the use(s) of that space. When the user changes – including adding new hazardous materials for solvent extraction devices – a certificate of occupancy may now longer be valid. According to the State of Colorado Marijuana Facility Guidance v.1, Fire code officials have the authority to require an owner to provide a technical opinion report from a registered design professional or qualified specialist, laboratory or fire safety specialty organization. This technical opinion or report is now considered critical to ensure safe operating compliance. When a specific hazard operation is identified, the fire code official may require facilities to obtain operational permits. Some hazards triggering this requirement include Cryogenic CO2, other Compressed Gases, Flammable and Combustible Liquids, Fumigation and Insecticidal Fogging, Hazardous Materials, LP Gas and CNG. Ino-Tek can help guide you through the code approval process as well as to provide the appropriate hazardous Material Emergency Alarm / Life Safety System. Contact us today.